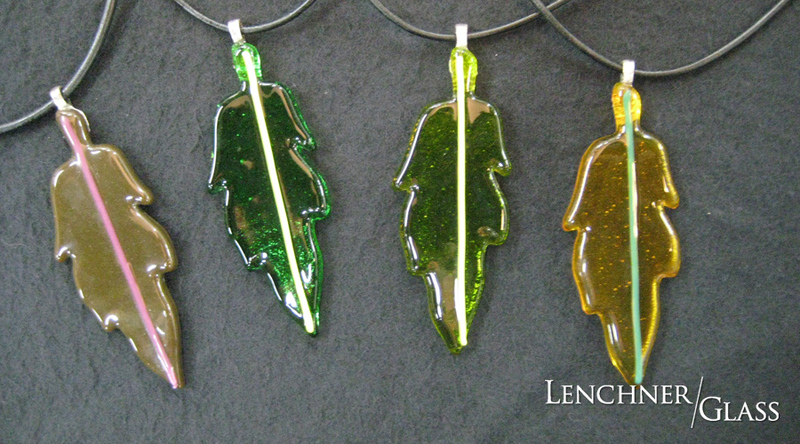 Lenchner Glass art and accessories are the perfect focal point or final touch to any room. Lenchner creates both custom one-of-a-kind works – or full production runs – to complement your own theme, motif or color palette. Many of our clients find it fascinating to watch the art change as the sun changes position during the day. Contact us directly for commissions and availability of existing works. Steven Lenchner’s first solo show, Wild Flower Studies, hit Los Angeles in 2003 at the Rick Robinson Gallery. The show included 30 frit paintings, a technique that implements glass frits and powders to create intricate fused glass art. Several pieces from that collection were also featured at the 2005 Pacific Palisades Home Design Tour, while other pieces are in private collections. Steven continues to work in this popular style today. This video shows close-ups of the intricate layers of color achieved by painting with frit glass and powders. 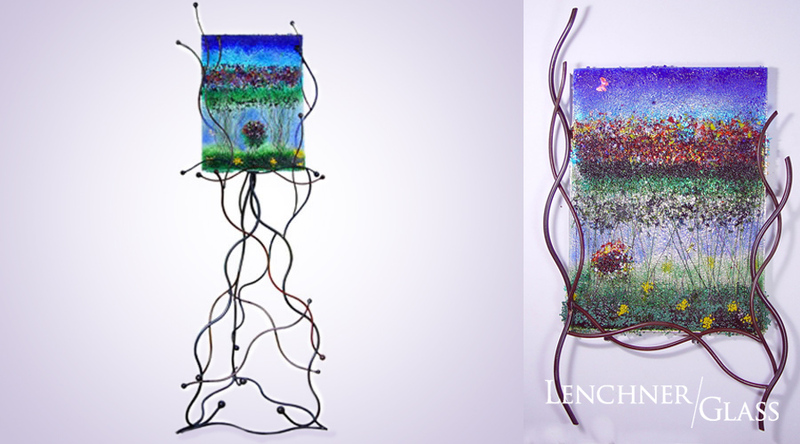 The resulting fused glass piece can be suspended, hung on a wall, or placed on a custom-designed metal easel. 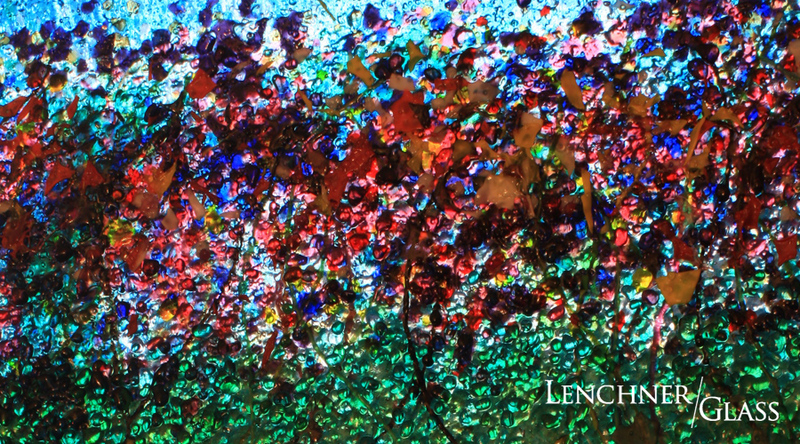 This one-of-a-kind fused glass piece by Steven Lenchner was created using a cast glass box mold technique. Mr. Blimpy and images of floating faces were created with carved plaster molds and accented with frit glass. Lit from behind, the piece has a compelling 3-D look.